The 1158 is the designation for the 18 karat gold Carrera. 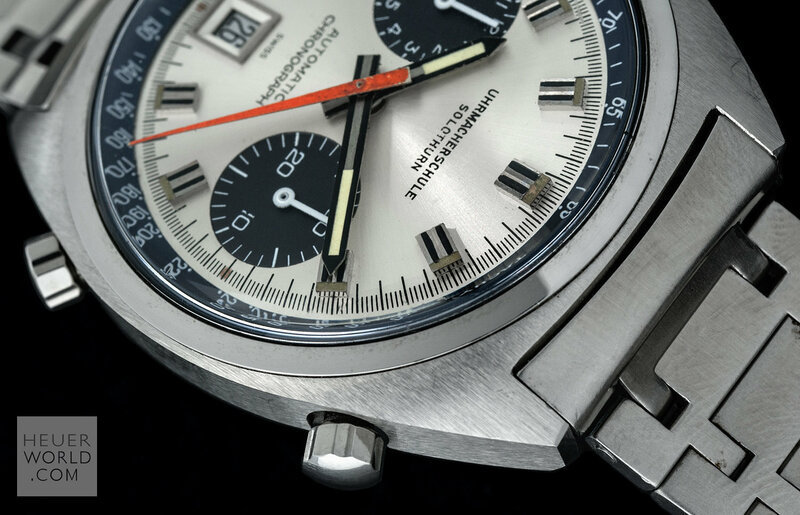 It is believed to have been used right from the start of the automatic chronograph movement launch in 1969 although no complete examples have been seen with the Chronomatic name on the dial. The Carrera 1158 were always the most expensive watches sold by Heuer and were even offered with the option of a fitted 18 karat gold Milanese bracelet. The case is the same shape as the 1153 and 1553 with brushed top and sides and gold pushers and crown. There is a stamp on the side of the case between the pushers indicating the metal used. The watch was sold throughout the 1970's and famously gifted by Jack Heuer to all Ferrari F1 drivers during this period.